Collette Farry, who supplied a copy of the death notice of Anne (FitzPatrick) McCann. The clues which have led to the identification, or partial identification, of two siblings of Anne (FitzPatrick) McCann have both come from a valuable collection of newspaper extracts made by Christine M. Spencer. The evidence for a brother will be presented below. The evidence for a sister, which is less direct, comes from an item of 1892 in a Perth, Ontario, newspaper which states: “Misses Nina and Maggie O’Reilly, Brooklyn, New York, are visiting their cousin John McCann of this town.” While only a small fragment of the 1890 U.S. Federal Census for New York survives, the 1892 New York State Census, which could not be more fortunately timed for our purposes, has adjacent entries for Nina and Maggie O’Reilly, aged 30 and 26 respectively, both born in the U.S. and both teachers, living in Ward 19 of Brooklyn. These women are not however listed in Lain’s Brooklyn Directory for any of the years 1892, 1894, or 1895. Attempting to work backward, we were unable to find any Nina O’Reilly of the right age in the federal censuses of 1880 or 1870, a difficulty which proved to have an unexpected explanation (“Nina” being evidently a nickname not adopted until adulthood). Eventually, the discovery of a detailed death announcement for Nina provided sufficient evidence for the filiation, including mention of a brother Luke whose marriage record names his mother as Margaret FitzPatrick. Further confirmation of the connection comes from the death notice of another brother, Frank E. O’Reilly, which likewise names his mother as Margaret FitzPatrick, and mentions as survivors “two sisters, the Misses Nina and Margaret O’Reilly.” We therefore identify this Margaret FitzPatrick as a sister of Anne (FitzPatrick) McCann. After seven years of marriage, Patrick McCann immigrated to Canada…. After building a log house…, [he] sent for his young wife [Anne FitzPatrick]. She left Ireland in 1842 [actually about 1846] with three children…. The youngest one died aboard ship, just before arriving at New York, and was buried in a cemetery in New York…. When my grandmother arrived in New York she got in touch with her husband’s brother [actually Luke O’Reilly was the husband of Anne’s own sister, Margaret FitzPatrick]…. His grandchildren are living in New York, one of them being Judge O’Reilly of New York. She then had to make the trip from New York to Portland [Ontario]…. It is quite doubtful that Luke O’Reilly can have been in New York so early as 1846, much less 1842; and it seems likely the writer has confused the incident of Anne’s arrival with some later contact with the O’Reillys. Furthermore, the judge — Frank E. O’Reilly, who had died a decade earlier — was a son, not a grandson, of Luke O’Reilly. A son, alive in 1889. His existence may be inferred from a report in a Perth, Ontario newspaper that “Mr. Fitzpatrick of New York, uncle of Mr. John McCann [son of Patrick McCann and Anne FitzPatrick], is visiting in town for a short time.” Unfortunately we have found no clue as to his complete name. Anne FitzPatrick, born around 1823, died 23 March 1888, allegedly aged 66 years, and buried 25 March following in St. John the Baptist Roman Catholic Cemetery, Perth, Drummond Tp., Lanark Co. She married about 1839 in Ireland (where their elder children were born), Patrick McCann, afterwards of South Burgess township, Leeds County, Ontario, was born around 1806-16 in Ireland, possibly in co. Antrim, died 25 July 1880 “at his residence in South Burgess,” allegedly aged 71 years, and buried 27 July following in St. John the Baptist Roman Catholic Cemetery, Perth, son of Anthony McCann, of Ireland, possibly of co. Cork, by the latter’s wife Molly McDonald. From the birthplaces of their children as reported in the 1861 census it is evident that Patrick McCann and his wife were still in Ireland in 1841, but were in Ontario by 1849. According to her death notice, their year of immigration would have been about 1846, and this date receives support from other sources. For further details see McCANN. 2Margaret FitzPatrick, born around 1828 (aged 32 in 1860, 40 in 1870, 50 in 1880) in Ireland. Jane FitzPatrick, born 1840-41 (aged 14 in 1855) in Ireland; living with her married sister Margaret (FitzPatrick) O’Reilly in 1855. The census of that year states that she had been resident in the city of Brooklyn for 8 years, which would place her immigration about 1848. She has not been found in later censuses. Funeral services were held over the remains of Mrs. Margaret O’Reilly in the Transfiguration Church, at Hooper street and Marcy avenue, this morning. The pall bearers were: John L. Shea, Thomas McElvare, Joseph Smith, David Clark, William Smith, Charles H. May, Richard Ennis. Rev. J. M. Kiely, the pastor, was celebrant of the requiem mass, assisted by Rev. Fathers Sheehy and O’Dougherty. In the 1855 census (see below) Luke O’Reilly is stated to have been resident in the city of Brooklyn for 8 years, placing his immigration about 1848. In the passport application of their son Luke O’Reilly, Jr., he is described as Luke O’Reilly, deceased, born at Cavan, Ireland, who immigrated from Ireland in or about 1848, and resided for 60 years until 190_ at Brooklyn, being naturalized as a U.S. citizen by the Supreme Court of the State of New York at Brooklyn. He is thus perhaps the Luke O’Reilly from co. Cavan who is said to have “emigrated to this country in 1848 or ’49,” and whose whereabouts was sought in a missing persons advertisement which appeared in 1874. He is also possibly the Luke O’Reily, aged 19 years, born in Ireland, who was enumerated in Ward 15 of New York City in the 1850 census. He and his wife were enumerated in Ward 7 of Brooklyn in the 1855 census, in which he is called a ____; at the time his wife’s sister, Jane Fitzpatrick, was living with them. He and his wife were again enumerated in Brooklyn in the 1860 census, in which he is called a clerk. In the 1865 State Census of New York, Luke O’Reilly, of Kent Avenue, is shown as making his living through “liquors &c.” As two directories of the mid-1870s show a Luke O’Reilly, with a liquor business at 60 Wythe Ave. and house at 51 Wilson, but no man of this name designated as a clerk, it seems clear that he continued to derive income from the liquor trade despite being called a clerk in later census records. In the 1870 census he is described as Luke Reilly (sic), clerk in the police court. His is enumerated again in Brooklyn in the 1880 census, in which he is called a “county official.” On Margaret’s death without a will in 1887, administration of her estate, valued at under $300, was granted to her widower Luke O’Reilly, of 75 Ross Street, Brooklyn, the record stating that she left five suriving children, Frank E., Nina A., John F., Luke, and Margaret O’Reilly, “all of full age.” We have not found a convincing match for Luke O’Reilly in the 1892 U.S. state census, but he was enumerated with four of his children in the 1900 Federal census. Luke O’Reilly, who was formerly a Congressman and who many years ago was one of the prominent leaders in Democratic politics in the Nineteenth Ward, was knocked down and, it is believed, fatally injured by a trolley car of the Third avenue line at the corner of Fulton and Pearls streets. The accident happened, at 1:05 o’clock as Mr. O’Reilly, who is about 65 years old [he was in fact about 70], was trying to cross from the north to the south side of the street. The crossing there is particularly dangerous, for it is at a point where the Inspectors are hurrying along either the cars on the Fulton street lines or the cars which cross a block below at right angles on the old Nassau line. Mr. O’Reilly had just stepped from the curbstone when the car passed along. It was in charge of Stephen McGlynn, aged 28 years, of 181 Forty-eighth street, who was motorman, and who was on his way to the ferry. Policeman Cox of the Adams street atation, was sitting on the front seat of the car, having just left the crossing at Bauland’s store. The policeman, in describing the accident, said that Mr. O’Reily, who is well known to the officials around the Borough Hall, had just stopped as if from the shoe shop at the corner of Pearl and Fulton Streets. The officer did not imagine for a minute that he would try to cross in front of the car, which was but a few feet distant, but when he was seen to step from the curb both the motorman and the policeman set up a simultaneous yell of warning. Mr. O’Reilly did not seem to realize his danger. He went on, and when the two men yelled again he just stopped on the side of the car track. He was not far enough away to avoid being struck by the corner of the dashboard. The motorman had the brake on at once but the car struck Mr. O’Reilly on the side of the head, causing a painful gash. He was knocked down by the blow and fell outward, clearing the fender. The car had by this time come to a standstill and Mr. O’Reilly seemed to try to stagger to his feet. He had not regained his feet fully when he fell again. He was unconscious when Policeman Cox, who had hastily jumped from the car, reached his side. It was clear that Mr. O’Reilly was badly hurt and a message was sent to the Brooklyn Hospital from the nearest telephone for an ambulance. Dr. Frank Freel, son of the late Edward Freel, who had known Mr. O’Reilly all his life, happened to be in the neighborhood and was the first in attendance. His diagnosis that the man was suffering from cerebral hemorrhage, probably due to a fracture of the skull, was confirmed by the ambulance surgeon, who came later, and the suffering man was hurrled to the hospital. At that Institution it was said that the chances for his life were small. Mr. O’Reilly’s home is at 81 Keap street. He has been employed for some years as an appraiser in the Surrogate’s Court, and of late has not been very active in the management of the politics of his district. He was in early years regarded as a strong man in the Democratic party, and many of the younger men now in politics secured their first lessons in O’Reilly’s former headquarters, at the corner of Wythe avenue and Clymer street, a quarter of a century ago. Mr. O’Reilly has a large family, two of whom are well known as lawyers. One of his oldest sons is Frank K. O’Reilly, law partner of Jerry A. Weinberg, and another son is Luke O’Reilly, Jr., also a lawyer of some local prominence. When it became evident that Mr. O’Reilly had been seriously hurt Policeman Cox placed motorman McGlyn under arrest. He was taken to the Adams street station, where he was held by Sergeant Kennedy pending arraignment before Magistrate Brenner on a charge of criminal carelessness. The policeman said that he did not think the motorman was to blame, for the car was not going at a high rate of speed at the time and the motorman had it under perfect control. It seemed to him that Mr. O’Reilly was dazed at the sudden danger. The following day, another newspaper reiterated that he “lies in a critical condition” and that “it was said that the chances for the injured man’s recovery were small. However, he somehow recovered, and survived the incident by about eight years. For a family which was clearly well-educated, it is surprising how inconsistently the ages of its members are reported in contemporary records. The situation is so bad that some censuses do not even agree as to the birth-order of the children. In particular, the ages reported in census records for the daughters Nina and Margaret are the stuff of science-fiction. After some years’ experimentation in the deceleration of the aging process, they managed to reverse its effects altogether during the 1890s and exited the decade younger than when they entered it. Former Magistrate Frank E. O’Reilly, long active in Democratic affairs in the 4th A[dministrative] D[istrict], of which he was Democratic leader at one time, died yesterday in St. Vincent’s Hospital Manhattan, after an illness of four months. He resided at 184 Hewes St.
Judge O’Reilly had been in poor health since the death of his brother, John O’Reilly, who was fatally injured in a motorcar accident last May. A few weeks later he suffered a shock from which he never fully recovered. Born in the old 19th Ward, a son of the late Luke and Margaret Fitzpatrick O’Reilly, he attended old Public School 16. Later he was graduated from the College of the City of New york. He later became a law partner of Jerry Weinberg and while a member of this firm was appointed a magistrate, serving 11 years, from 1901 to 1911. Since his retirement from the bench he had practiced at 44 Court St. Judge O’Reilly was a member of the old First Class of Public School 16 Society, the Holy Name Society, Loyola Council, K[nights] of C[olumbus], the Roman Catholic Orphan Asylum Society, and other organizations. He was a past president of the Eckford Club and one of the organizers of the Seneca Democratic Club. He also was president of the Champlain Assembly of the Catholic Summer School of America. Surviving are his brother, Assemblyman Luke O’Reilly, and two sisters, the Misses Nina and Margaret O’Reilly. A requiem mass will be offered at 10 o’clock Friday morning in the R. C. Church of the Transfiguration and burial will be in Calvary Cemetery. Sarah O’Reilly, born 1854-55 (aged 5 in 1860, 10 in 1865) in New York, died in 1865-70. Margaret (“Maggie”) A. O’Reilly, born probably in 1858 (aged 2 in 1860, 6 in 1865, 11 in 1870, 18 in 1880, 26 in 1892, 24 in 1900!, 40 in 1910, 48 in 1920, 71 in 1930) in New York, alive and unmarried on 12 February 1931 as she survived her sister Nina. She is found in her parents’ household until 1880, when she is called a teacher. She is found in the household of her brother Frank in the 1910 and 1920 censuses, in the first of which she is called a teacher in a public school. 3John F. O’Reilly, born in November 1861 (per 1901 census, agreeing with the age of 9 given for him in the 1870 census but not for that of 11 in the 1865 census) in New York. Luke O’Reilly of 296 Sterling Place, Brooklyn, a former Democratic Assemblyman from the Eighth Brooklyn District, who had practiced law for sixty-one years until his retirement in 1944, died yesterday in his Sheepshead Bay cottage at 3082 Emmons Street after a long illness. He was 87 years old. Born in Brooklyn, a son of Luke O’Reilly, a Williamsburg district leader, Mr. O’Reilly was largely self-taught in preparing himself for his bar examinations, yet he passed with good marks and was admitted to practice in 1883. He acquired a large clientele and appeared as counsel in many criminal trials. For some years he occupied offices in the Temple Court, Building with his brother, the late Magistrate Frank E. O’Reilly. Mr. O’Reilly is survived by his widow, who was Honora Petterson of Forest Hills at their marriage in 1939. His first wife, the former Elizabeth Nann, died in 1921. Arthur O’Reilly, born around December 1864 (aged ½ year in June 1865) at New York, died by 1870. Thomas O’Reilly, born 1866-67 (aged 3 in 1870) in New York State, died by 1880. He is possibly the unnamed male child of Luke O’Reilly and Margaret Fitzpatrick born 24 January 1867 at Brooklyn. Frank Eugene O’Reilly, born 12 January 1889, died in April 1981, his last address being Jamaica, Queens Co., New York. He was “at school” in 1900. He is doubtless the Frank E. Oreilly, aged 21 and born in New York, unmarried, a bookkeeper for a coal company, who was a boarder in the home of Nicolas J. Flocken, of Brooklyn Ward 19, Kings County, New York, in 1910. Franklin Eugene O’Reilly, of 1011 Ocean Avenue, Brooklyn, a bookkeeper for the Scranton Lehigh Coal Company, and single at the time, registered for the draft on 5 June 1917. We have not found him in the 1920 or 1930 censuses. Franklin Eugene O’Reilly, of 88-42 179th Street, Jamaica, Queens Co., New York, although he was then 53 years old, registered for the draft again in 1942, naming as his emergency contact his sister Mrs. Evelyn Geffken, of 95-10 Flatlands Avenue, Brooklyn, New York; he therefore doubtless had no wife living at the time, though the record failed to ask the question of marital status. Bessie O’Reilly, born in April 1890, “at school” in 1900. Margaret O’Reilly, born in April 1893. Frances Geffken; married Brad Waters. They were of Woodinville, Washington, in 2010, and had issue: Luke, Laura. Michael Geffken, predeceased his mother. Robert Geffken; married [Patty?] ____, and had issue. Henry Geffken; married [Sherry?] ____, and had issue. Evelyn Geffken, married Peter Juliano. Issue: Courtney, Philip. Robert Charles Geffken, born 21 Dec 1921 in New York State, died unmarried 27 February 1962. Nina O’Reilly, born in August 1897; living with her uncle, Frank E. O’Reilly, in 1910 and 1920. 1. Perth Courier, 22 July 1892, as extracted in Christine M. Spencer, Perth Courier - Comings and Goings, available online at http://www.rootsweb.com/~onlanark/NewspaperClippings/Spencer/ PerthComingAndGoing24.htm. Nina O'Reilly       F   30   U.S.       "
3. Ireland Tith Applotment Books, 1814-1855, digital collection, available on the website of the National Archives of Ireland, a much superior implementation to the one at FamilySearch. 4. The name of Bridget McLenag is known only from the notes of Florence (Healy) Keller. 5. Death notice, Perth Courier, 30 March 1888, from a copy kindly supplied by Collette Farry. This notice has also been abstracted in Christine M. Spencer, Perth Courier Obituaries, available online at http://www.rootsweb.com/~onlanark/NewspaperClippings/Spencer/ PerthCourierTwentySix.htm. 6. Perth Courier, 15 March 1889, as extracted in Perth Courier — Comings and Goings, available online at http://www.rootsweb.com/~onlanark/NewspaperClippings/Spencer/ PerthComingsAndGoings17.htm). 7. She was allegedly aged 15 at her marriage (around 1839), and was aged 38 in 1861, 50 in 1870, and 66 at her death in 1888. 8. We have not found an official record of her death, but see the newspaper death notice quoted above. 9. He was aged 50 in 1861, 64 in 1871, aged 71 at his death in 1880. This does not accord well with the statement (above) that he was aged 19 at his marriage (around 1839). 10. Per his burial record and the (extremely brief) death notice in the Perth Courier of 30 July 1880, as extracted in Christine M. Spencer, Perth Courier Obituaries, available online at http://www.rootsweb.com/~onlanark/NewspaperClippings/Spencer/ PerthCourierEighteen.htm. We have not found an official record of his death. 11. Her surname is supplied by the record of the first marriage of her son Luke O’Reilly, and from the registration of an unnamed child on 24 January 1867, in Brooklyn (IGI batch no. C715174). This may have been the son Thomas. 12. “Funeral of Mrs. Luke O’Reilly,” Brooklyn Daily Eagle, 10 February 1887; page number not visible on copy. 13. New York, New York City, Church of the Transfiguration Records, 1847-1938, digital collection at FamilySearch. 14. Luke O’Reilly is listed as a teacher at Grammer School no. 37 in a directory of 1875, his home address being given as 215 East 84th Street; see Annual report of the Board of Education of the City and County of New York, no. 24, for the year ending December 31, 1875 (New York, 1876), p. 119. We take the date of his death from Journal of the Board of Education of the City of New York, 1883, pp. 782-83. 15. Death notice of John J. O’Reilly, New York Times, 12 November 1933. A longer notice in the New York Sun, 14 November 1933, p. 24, col. 4, fails to mention this relationship. 16. 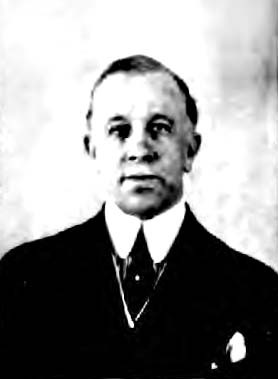 Luke O’Reilly, Jr., application for passport, issued 28 February 1921, in the Ancestry.com database U.S. Passport Applications, 1795-1925, no. 146846. 17. ”Of Michael, Luke, John, Bernard, Mary, and Margaret O’Reilly, children of Patrick O’Reilly; or Thomas, James, John, Solmon, and Felix, children of Thomas O’Reilly, all of Grahaduff, parish of Killinkere, county Cavan; or of John, Michael, and Lawrence, sons of Bernard O’Reilly, of Tara, all of whom emigrated to this country in 1848 or ’49. If any person knowing their whereabouts should happen to see this advertisement, they would confer a favor by addressing Patrick O’Reilly, Farley, Dubuque co., Iowa.” — Boston Pilot, 28 March 1874, as excerpted in Ruth-Ann Mellish Harris, Donald M. Jacobs, & B. Emer O’Keeffe, The Search for Missing Friends: Irish Immigrant Advertisements Placed in The Boston Pilot, 1831–1920 ((Boston: New England Historic Genealogical Society, 1989?–), 7:377-78. 18. 1850 U.S. federal Census, New York, New York City, Ward 15, p. 291; LDS microfilm no. 444,268.
name      relationship gender age birthplace *  occ. Franklyn P. Reilly  child  M   3  Kings Co.
Sarah A. Reilly     child  F   1  Kings Co.
* "Years resident in this city or town"
Luke O'Reilly        35  [head]   Ireland     liquors &c.
Margaret O'Reilly    38  wife        "
Eliza Jane O'Reilly   8    "         "
Sara O'Reilly        10    "         "
Margaret O'Reilly     6    "         "
John O'Reilly        11    "         "
Luke O'Reilly    2 6/12    "         "
Arthur O'Reilly    6/12    "         "
22. The Brooklyn City and Business Directory, 1874-75, p. 647; Brooklyn City and Business Directory For The Year Ending May 1st, 1877, p. 702. Margaret Reilly 11       "         "
John Reilly      9       "         "
Luke Reilly      7       "         "
Thomas Reilly    3       "         "
* Value of real estate: $25,000; value of personal estate: $1,000. 25. Kings County Estate Files, 1866-1923, digital folder number: 004172138, image available online at Ancestry.com. 27. “Luke O’Reilly, 87, dies…,” Brooklyn Eagle, 25 October 1949, p. 13, cols. 4-5. 28. “Another Old-Timer of Nineteenth Ward Recalls Police Station on lower Clymer Street and an Interesting Variety of Other Matters.,” Brooklyn Standard Union, 6 April 1924, p. 5, cols. 1-2. 29. “Car Injures Luke O’Reilly, Sr. — The Ex-Congressman Knocked Down on Fulton Street and Likely to Die,” Brooklyn Daily Eagle, 10 July 1900, p. 1, col. 6. 30. “Luke O’Reilly a Trolley Victim,” New York Herald, 11 July 1900, p. 3, col. 3. 31. An unnamed child of Luke O’Reilly and Margaret Fitzpatrick, born 24 January 1867, was registered in Brooklyn (IGI batch no. C715174). 32. Grace Charlotte Strachan, Equal Pay for Equal Work (New York, 1910), p. 60. The students are listed in support of the author’s argument that schools with only female teachers were as effective as schools with male teachers. 33. Catalogue of the Officers and Students of Columbia College for the year 1873-1874 (New York, 1873), p. 168. 38. “O’Reilly Gives Reception,” Brooklyn Standard Union, 2 August 1928. 39. 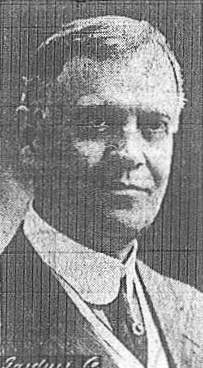 “Frank O’Reily, Magistrate for 11 Years, Is Dead: One-Time Democratic Leader Succumbs After Illness of Four Months,” Brooklyn Daily Eagle, 22 October 1930, p. 17, col. 5. 40. Death notice, New York Times, 13 February 1931, p. __. 41. While some census records give imcompatible ages, this date is supported by the statement in the 1865 state census of New York, taken 12 June 1865, that he was 2½ years old. 42. The fullest, and most informative, notice of his death we have found is “Luke O’Reilly, 87, dies…,” Brooklyn Eagle, 25 October 1949, p. 13, cols. 4-5. Other notices include: “Luke O’Reilly Dies; A Lawyer 61 Years — Retired Brooklyn Attorney, 87, Former Assemblyman, was Criminal Trial Specialist,” New York Times, 26 October 1949, p. __; short notice in Times Record (Troy, New York), 26 October 1949, p. 10, col. 3. 44. Luke O’Reilly, Jr., is mentioned in the death notice of his brother John in the New York Times, 12 November 1933. 45. Grace Charlotte Strachan, Equal Pay for Equal Work, as cited above, p. 60. 46. Passport application, in the Ancestry.com database U.S. Passport Applications, 1795-1925, no. 146846. 47. Ancestry.com database, New York Passenger Lists, 1820-1957, Microfilm roll T715_4751. His stated date of birth of 10 November 1862 agrees with that given in his 1921 passport application. 48. New York City marriages, as indexed in the IGI, batch M006086 (where however the bride’s surname has been incorrectly transcribed as Naren); Brooklyn Daily Eagle, 25 October 1899, reporting the marriage of “Elizabeth J. Nann to Luke O’Reilly Jr.” (which spelling of his wife’s surname agrees with that given in his death notice in the New Yotk Times). 49. Brooklyn Birth Registrations, indexed at FamilySearch, IGI Batch no. C71517-4, FHL microfilm no. 1,324,343. 50. Death notice of his brother Frank O’Reily, Brooklyn Daily Eagle, 22 October 1930, p. 17, col. 5. 51. Her name is given as Arabella Foster in the death record of her daughter Evelyn (O’Reilly) Geffken. John O'Reilly      head  November 1861  38  M   NY   Ire. Ire. 53. Social Security Death Index, in exact agreement with his draft record cited below. 54. Social Security Death Index. 55. 1910 U.S. Federal Census, New York, Kings County, Brooklyn Ward 19, enumeration district 441, pp. 14A & 14B; NARA roll no. T624_967 [Family History Library microfilm no. 1,374,980]. 56. World War I Draft Registration Cards, 1917-1918, image at Ancestry.com. This gives his date of birth as 12 January 1889, agreeing precisely with that in his death record. 57. U.S. World War II Draft Registration Cards, 1942, image at Ancestry.com. This also gives his date of birth as 12 January 1889. 58. Vermont Certificate of Death no. 92-003565, image at Ancestry.com. 59. Death notice, Brooklyn Eagle, 17 October 1939, p. 11, col. 2. 60. See the well-researched Geffken genealogy at http://trees.ancestry.com/tree/44570258/, apparently by a Rick Geffken. Gussie Geffken        daughter  F 21  New York  Germ. Germ. father in the 1920 census. 63. Death notice of Mary E. Robinson, at https://obits.lohud.com/obituaries/lohud/obituary.aspx?pid=150056046. The notice lists several other relatives on her father’s side. 64. Death notice of Mary Uhlig, Sun-Sentinel, 9 June 2004, at https://www.legacy.com/obituaries/sunsentinel/obituary.aspx?pid=2310942; punctuation revised for clarity.